Do you care about the health of our land and water? Please consider attending an event or participating in a volunteer event to learn more and contribute to county-wide conservation efforts. Many of these events are coordinated with our partners. If you are organizing a conservation activity in Hancock County, please let us know and we will help spread the word! 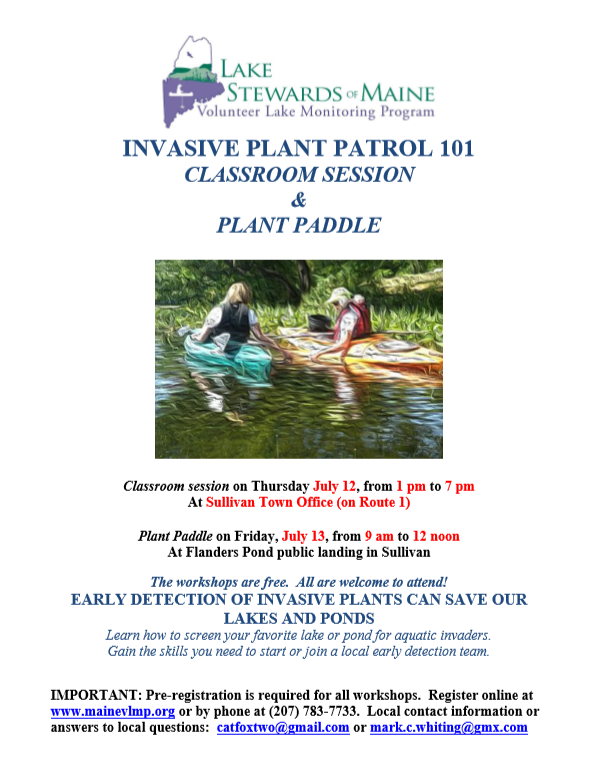 For additional dates in other parts of Maine, and for more information, please visit VLMP’s website. Join Downeast Salmon Federation for the first Wild and Scenic Film Festival in Downeast Maine! The Wild & Scenic Film Festival is the largest film festival of its kind. It will leave you feeling inspired and motivated to make a difference in your community and the world. There will be food and drinks, a raffle, and information from participating hosts at 6:30pm; we’ll start showing the films just before sunset around 7:30pm. The film festival will take place at The Grand on Main Street in Ellsworth if rain is forecasted. Downeast Salmon Federation has partnered with eight area nonprofits to put on this nationally acclaimed film festival in Ellsworth. Film festival partners are: Blue Hill Heritage Trust, Downeast Audubon, Downeast Institute, Frenchman Bay Conservancy, Great Pond Mountain Conservation Trust, Maine Coast Heritage Trust, Maine Farmland Trust, and Schoodic Institute.